Ralph Eshelman has over 30 years of cultural resource experience; much of it related to lighthouse preservation. Eshelman was the project director for the team which moved, renovated, and interpreted the 1883 Drum Point Lighthouse, at Calvert Marine Museum, Solomons, Maryland, between 1974 and 1977. 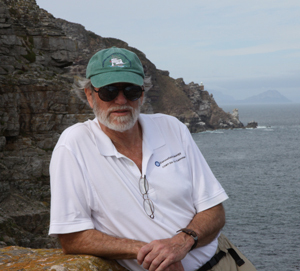 Eshelman served as historian for several assessment teams which surveyed 31 historic lighthouses located throughout the United States for the Department of Defense, U.S. Coast Guard and the Bureau of Land Management in 1995 and 1996. Eshelman was co-author of "The Maritime Heritage of the United States National Historic Landmark Theme Context Study for Lighthouses," for the National Maritime Initiative of the National Park Service in 1995. The following year Eshelman authored a context theme study and multi-property National Register Nomination for 17 light stations in Maryland, as well as authored the "Maryland Lighthouse Preservation and Interpretation Plan" for the Maryland Historical Trust in 1996. Eshelman served as historian for the team which wrote the Historic Lighthouse Preservation Handbook for U.S. Coast Guard, Department of Defense and National Park Service in 1997. During the same year he prepared three National Historic Landmark Nominations for masonry-type lighthouse towers, including Cape Hatteras Light Station, for the National Maritime Initiative of the National Park Service. Eshelman was President of the National Lighthouse Museum Steering Committee, an affiliation of lighthouse preservation societies, which worked together to create the National Lighthouse Museum in 1997. He is a founding trustee and second vice-president of the National Lighthouse Museum from 1998 to present. Eshelman is a founding principal of Lighthouse Preservationist, LLC, a lighthouse preservation company. He also wrote the entry "Lighthouse" for The Oxford Companion To The History of Modern Science by Oxford University Press, Inc. 2002.